Which was invented first, the bicycle or the tricycle? That depends on what you count as the first bicycle, and the first tricycle. 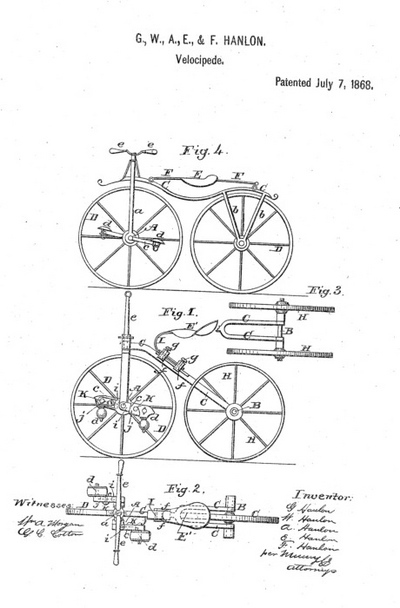 If you say the Lallament version was a bicycle, it was patented before the tricycle below. If you count the John Starley Rover as the first bike, then the tricycle was first. If you count the Cugnot steam vehicle as a tricycle, it was before Lallament. Here is a very early tricycle, which looks very similar to Lallament’s bicycle, but inclues a verion that is in the tricycle format. The trike has sure come along ways. Look at this new version of the trike.